Codelocks recently introduced the latest edition to its KitLock range of electronic locks – the NANO90. The new lock is based on the company’s best selling cabinet lock, but with a much smaller footprint of just 30 by 90mm. The NANO90 provides an almost ‘fit and forget’ solution – performing up to 100,000 operations from just one coin-cell battery. The product is available to order in silver grey as standard, and is also available in black and white. It is priced at £32. For more information visit the product page on the Codelocks website or call 01635 239645. 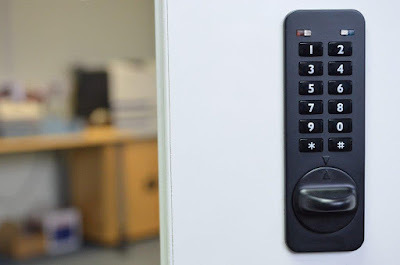 Electronic door lock are very similar to normal automatic locks which are freely available in the market. These security door locks are different in their features than in their looks. They are meant to provide security to the person. The electronic door lock are exclusive in their function. They open and close only when they are identified.